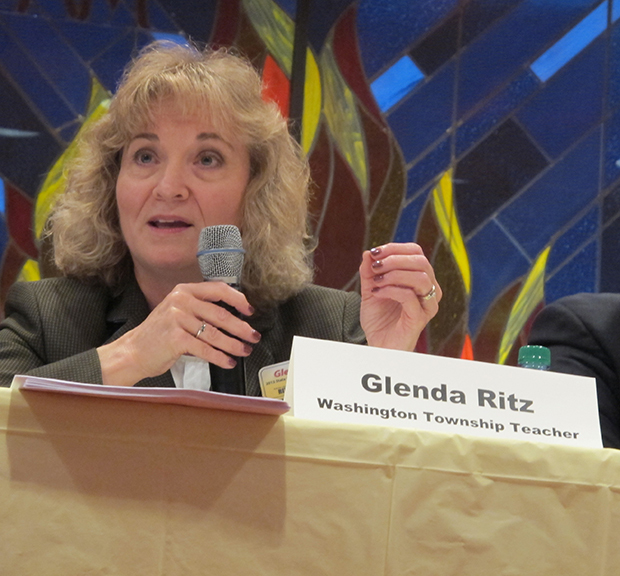 The suit stems from a dispute that’s flared between Ritz and the panel over State Board members’ decision to ask Indiana General Assembly for the help of the state’s Legislative Services Agency in calculating this year’s A-F school performance ratings. 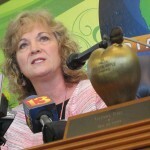 According to a statement from her office, Ritz believes “members of the State Board violated Indiana’s Open Door Law” in crafting that request. In her complaint, Ritz asks the Marion County Circuit Court to block the Legislative Services Agency from complying with the State Board’s request. In a statement, Governor Mike Pence expressed support for the State Board’s position. But Indiana Department of Education spokesman David Galvin says the lawsuit is about more than the State Board’s request to have LSA run the numbers for the state’s A-F accountability system. 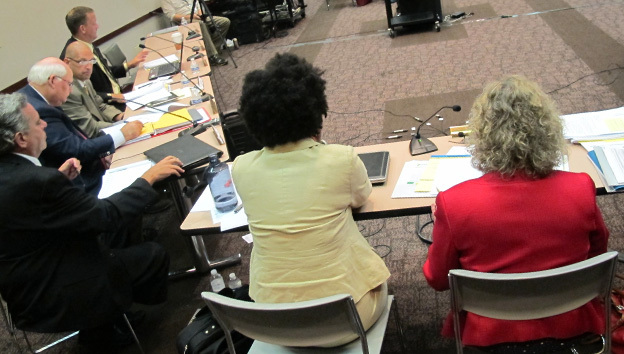 “If the governor’s board insists on going against the agreement between the governor and the superintendent, then the governor’s lost control of the State Board of Education. He’s appointed them,” Galvin told StateImpact in an interview, referring to an understanding between the state superintendent and Gov. Mike Pence about who controls the state board. 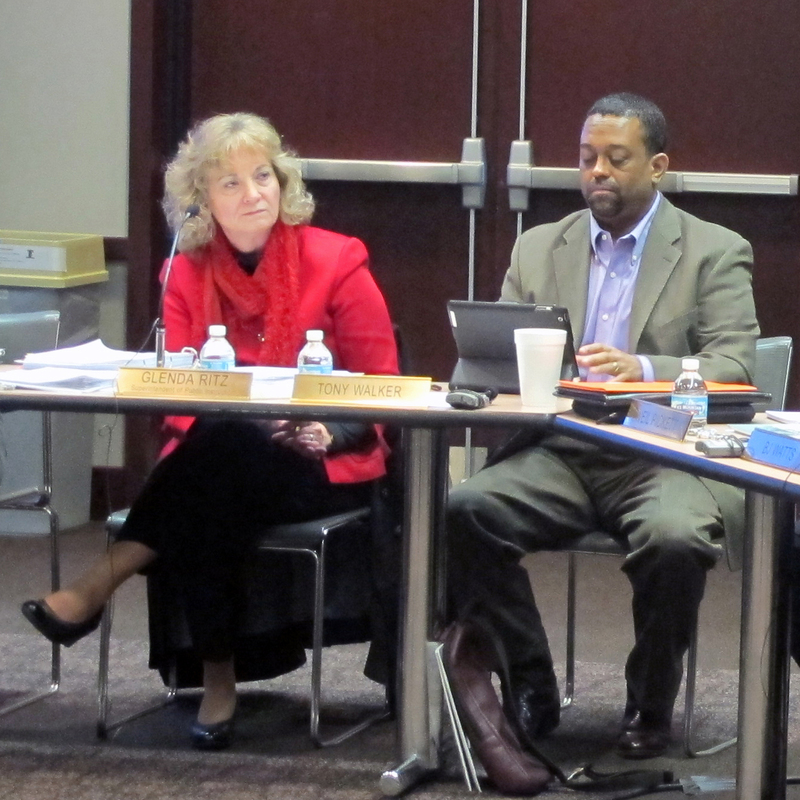 Before the lawsuit was announced, State Board member Dan Elsener told StateImpact in a phone interview he and other members of the panel felt the Department of Education has been dragging its feet in calculating the grades. “There’s either a problem with the competence of the department to get it out, or they don’t agree with accountability and so they’re just dragging it out so we can’t do it,” he said. Speaking to Indiana Public Broadcasting statehouse reporter Brandon Smith, Sen. Jean Leising, R-Oldenburg, called on both sides to work out their differences. 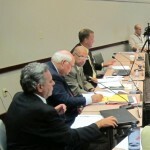 StateImpact has reached out again to Elsener and the Center for Education and Career Innovation for comment. We’ll update this post with any comments we receive.